1 of 5 In a medium bowl, whisk flour, cocoa powder, baking powder and salt. Set aside. 2 of 5 In a large bowl, beat butter and sugar until smooth, 2 minutes. Beat in egg and vanilla. On low speed, beat in flour mixture until just combined. Divide dough in half and form each half into a disk. Wrap in plastic wrap and refrigerate 4 hours or overnight. 3 of 5 Heat oven to 350 degrees . On a lightly floured surface, roll out one disk to 1/4-inch thickness. 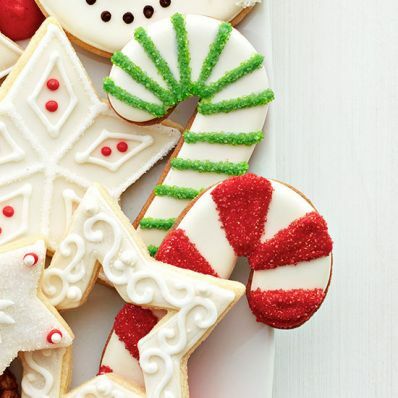 Using a 3 1/4-inch candy cane-shaped cookie cutter, cut out shapes. 4 of 5 Place shapes on an ungreased baking sheet. Bake at 350 degrees for 10 to 12 minutes, until lightly golden around edges. Remove to wire racks to cool completely. 5 of 5 Repeat with remaining dough. Gather scraps and refrigerate. Re-roll and cut into additional shapes. 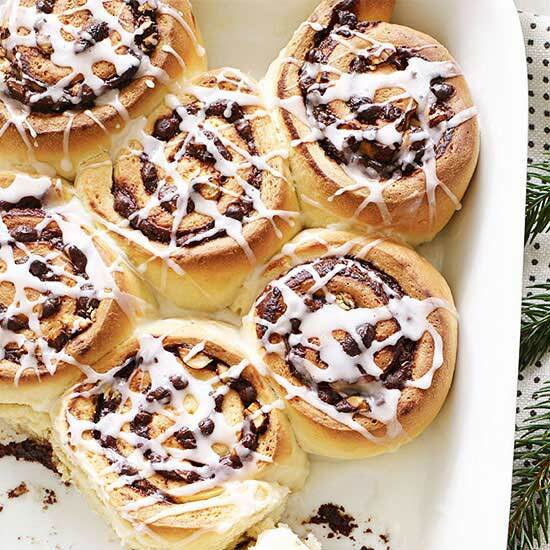 Bake and cool on wire racks; decorate with white Royal Icing, sugar and crushed candy canes as desired. When dry, store in an airtight container up to 2 weeks.